Farmhouse is a fraternity dedicated to the building of men through Four fold development. Farmhouse seeks to build men with intellectual, social/Moral, Spiritual, and physical Development. fifty chapters and thirty thousand total initiated brothers. college life at Clemson University and life after college. In addition to valuable skills, we strive to educate new members about the history and traditions of FarmHouse along with the history of Clemson University. academic and moral standard. They can also expect to have the social aspect many desire from a fraternity experience. We hope the best for you in your journey of IFC recruitment and we look forward to meeting you at any of our recruitment events. Q: Is FarmHouse a "real" fraternity? A: Yes, FarmHouse is every bit a "real" fraternity. We are a member of, and recognized by the Interfraternal Council at Clemson. we hold social and philanthropic events as well as participating in the philanthropies of other Greek organizations. we also partner and mix with other fraternities and sororities around campus. The only major difference is that we do not use Greek letters. Q: If it's a real fraternity, then why doesn't FarmHouse use Greek letters? Q: I've heard FarmHouse is a dry fraternity. Is this true? A: No, FarmHouse is not a dry fraternity. As with any other fraternity, members of age may consume alcohol in accordance with IFC regulations. Q: Do I have to major in agriculture to become a member? A: No. at one time the fraternity only allowed students in agriculture school. Now, students from any discipline may rush Farmhouse, and our chapter has members in engineering, business, as well as agriculture. 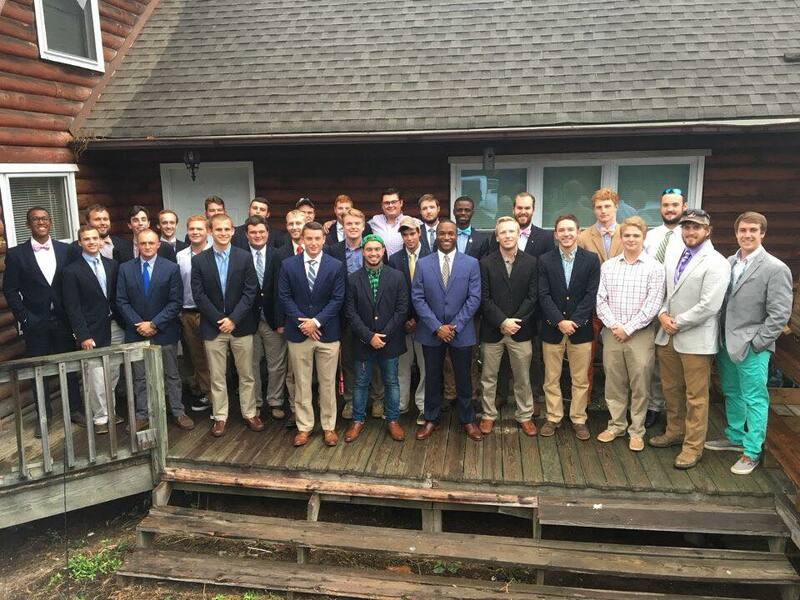 due to IFC violations, is FarmHouse in good standing with the University? A: Yes. We are in excellent standing with IFC and the University. We hold our brothers to a high standard to insure we remain as such. Q:Do I need to be religious to rush Farmhouse? AA: NO, while faith and spirituality are an important aspect of farmhouse ideals, you do not need to hold specific beliefs to join. If you are interested in rushing the Clemson University FarmHouse chapter, or have any questions, please submit your name and contact information below, and we will get back to you, eventually.